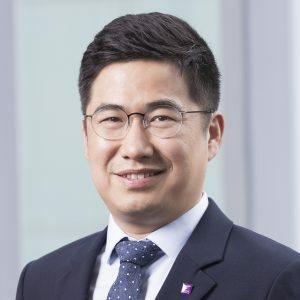 Prof. Keongtae Kim is currently an Assistant Professor in Department of Decision Sciences and Managerial Economics, The Chinese University of Hong Kong (CUHK) Business School. Prior to joining CUHK, he was an Assistant Professor at Department of Information Systems at the City University of Hong Kong. He received his BS in Mechanical Engineering from Seoul National University, South Korea, and his MS in Management Engineering from KAIST Business School, South Korea. He earned his PhD in Information Systems from the Robert H. Smith School of Business at the University of Maryland. His main research focuses on crowd-based innovation (crowdfunding/crowdsourcing), technology entrepreneurship, IT and labour market, and IT business value. His research has been published at Information Systems Research and MIS Quarterly. Keongtae Kim and Il-Horn Hann, “Disillusion of the Democratization of Finance: Housing Prices and Crowdfunding,” Information Systems Research, forthcoming. Keongtae Kim and Siva Viswanathan, “The Experts in the Crowd: The Role of Experienced Investors in a Crowdfunding Market,” MIS Quarterly, forthcoming. Keongtae Kim, Sunil Mithas, and Michael Kimbrough (2017), “IT Investments and Firm Risk Across Industries: Evidence from the Bond Market,” MIS Quarterly, 41(4). Keongtae Kim, Anand Gopal, and Gerard Hoberg (2016), “Does Product Market Competition Drive CVC Investment? Evidence from the U.S. IT Industry,” Information Systems Research, 27(2). Keongtae Kim, Sunil Mithas, Jonathan Whitaker, and Prasanto K. Roy (2014), “Industry-Specific Human Capital and Wages: Evidence from the Business Process Outsourcing Industry,” Information Systems Research, 25(3).